My Academic Diary is designed to operate as a platform for Post-Graduation or University students to help them manage overall course program on the application. These program include: setting a goal for their course, which will then be utilized to track their progress and development in each subject. Besides, students can as well break their tasks down into easy stages, so that the study progress is simplified and streamlined. 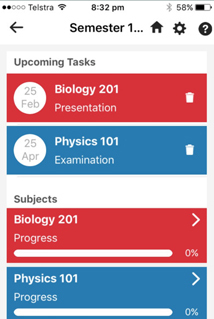 Client approached us with a request to have an App that will help University students to manage and keep a trace of their progress in their respective subjects. 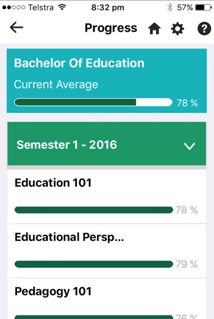 Allowing students to plan their assessment tests through a predetermined set of goals, client requested an app that's as well intuitive and easy to use. Not all students are focused with what the situations expect of them, resulting in poor grade. My Academic Diary is designed as it helps students set goal, track their progress in subjects and breakdown the tasks over certain stages. Client required an exclusive platform for the University students to manage their assessment grades, plus gradual progress in each subject, semester wise. 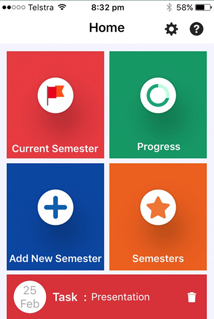 We developed him an e-learning, academic performance management tool that consists of features such as: Set A Goal, Track The Progress In each Subject, Task Segregation, Grades/Results Management and use of Percentage Graphs to indicate goals that users are behind or ahead of. 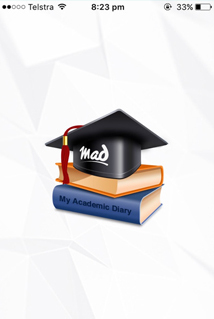 Front-end My Academy Diary has been made available for Android and iOS platform both. Besides, we developed a promotional website of the Application. Backend Our team assured Ease of Use as the development progressed towards the accomplishment, along with smooth content management, simplified grade tracking, and management of multiple semesters. Explaining client's primary needs, so to shape up the project vision. Deploying the app further ensuring easy grade entry, schedule management, credits management, grade editing, grade tracking etc. Our team, in the end, made sure the app looks and feels different as, be it ideation, strategy-making, designing and development, our process was fair and of high standard. The team worked well to deliver our mobile application. They were always enthusiastic and quick to r..
Our team knew that developing and delivering a mobile app was mere the baby steps in the long voyage to releasing a successful, i.e. a 5-Star mobile app. Success of a mobile app is evaluated through improved brand, more user engagement and more money. Users have not experienced any crash yet, neither is there any negative review on slow running.